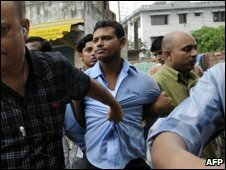 The Islamist organisation, Hizb-ut Tahrir has been banned in Bangladesh, the home ministry has announced. Home Secretary Abdus Sobhan Sikdar said the government feared Hizb-ut Tahrir posed a threat to peaceful life. It is the first time that an Islamist group which has not been implicated in any terrorist acts been outlawed. The group has condemned the ban and pledged that it will not be silenced by a government it said was guilty of a "pro-imperialist stance". 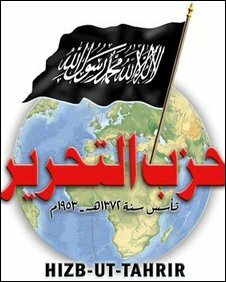 Officials say that Hizb ut-Tahrir has been banned in at least 20 countries and topped a government list of about 10 groups suspected of plotting subversive acts in Bangladesh. "The government has decided to ban Hizb-ut Tahrir because they are against the interest of law and pose a threat to public security," Mr Sikdar said. Hizb-ut Tahrir has been active in Bangladesh for the past eight years. Nearly 40 members of the organisation were arrested earlier in the year after they were alleged to have distributed leaflets in support of a mutiny by border guards in which over 50 army officers were killed. Mr Sikdar said that intelligence agencies had been monitoring the activities of 12 organisations. Out of those, four were banned earlier - they were suspected of involvement in what the government calls "terrorist" and "anti-state" activities. The head of Hizb-ut Tahrir in Bangladesh, Professor Mohiuddin Ahmed, denied his organisation was involved in terrorist activities. He said the group believed that terrorism and other violent acts were totally contrary to the teachings of Islam. Professor Ahmed said that such action by the government had failed to silence his organisation in the past and would not succeed in the present. ''I can tell you clearly that whenever a repressive government in any part of the world has banned us, we have not stayed quiet," he said. "We have always raised our voice against imperialists. We will continue to expose this government's pro-imperialist stance." The home secretary said that intelligence agencies would continue their surveillance of Hizb-ut Tahrir to make sure it did not re-emerge under a different name. The BBC Bengali editor Sabir Mustafa says that Hizb-ut Tahrir - which has well known global links - has been active lately in universities and the government may well have been worried about its increasing influence among students.